A new railway station in Bhubaneswar and a host of other infrastructure projects were inaugurated today ahead of Lord Jagannath’s Rath Yatra festival beginning July 14. 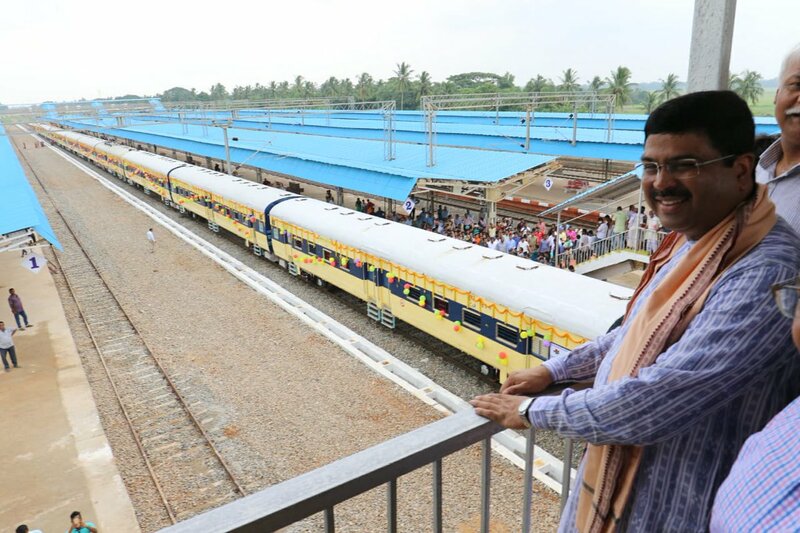 The Bhubaneswar New station, constructed at a cost of Rs 30 crore, was dedicated to the public by Union Petroleum Minister Dharmendra Pradhan. Bhubaneswar new station, located between Mancheswar and Barang stations and around 14 km from Bhubaneswar main station, will improve communication for people in northern parts of the city, Pradhan said. It will also play a major role in boosting business and trade activities, he said. Apart from the new station, several other projects such as a mobile app for Rath Yatra, a MEMU shed at Khurda Road station and new foot over bridge at Bhubaneswar station were also unveiled by the minister. Pradhan said the mobile app will help pilgrims and tourists get particulars about available trains to Puri for the festival and related information. Initially, three passenger trains will stop at the Bhubaneswar New station and express and super fast trains will stop there gradually, a railway official said. The new station was built to ease the traffic in the main station in which over 140 trains pass daily, the official said adding that the main station has six platforms while the new one seven. Some other railway projects including a new station building at Bhadrak are likely to be commissioned later this month, he said.